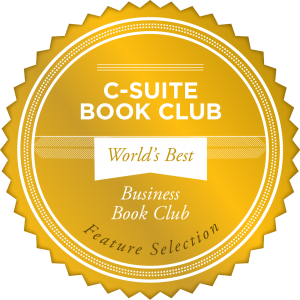 Renowned marketing consultant, Stephen Monaco has been selected into C-Suite Book Club, the premier source for the world’s leading business books for c-suite leaders, business executives, and celebrities. Featuring premium content from top thought leaders, designed to increase knowledge, deepen understanding, and build skills to enhance readers’ personal and professional lives, Stephen Monaco, the author of “Insightful Knowledge, has been selected to be part of C-Suite Book Club as a Showcase Author. In his extraordinary debut, Stephen Monaco gives readers the opportunity to learn about best-practices in marketing strategies during this ‘Digital Age in the Era of the Customer.’ The book achieved best-seller status from Amazon. “In a world where customer expectations continue to escalate, the majority of enterprises are struggling to transform and keep up with the pace of change,” says Stephen Monaco, internationally-recognized IBM Futurist, thought leader, and marketing consultant. “Insightful Knowledge provides executives with actionable information on best-practice Voice of Customer initiatives, and engaging consumers in conversations that lead to meaningful dialogues so companies can learn and understand their wants and needs, and what they value,” said Monaco. increase knowledge, deepen understanding, and build skills to enhance readers’ personal and professional lives.